The best celebrations in life involve cake – birthdays, anniversaries, holidays and of course, weddings! Any bride knows that next to the dress, the cake is the symbol of the event – an expression of the personality of the bride and groom. 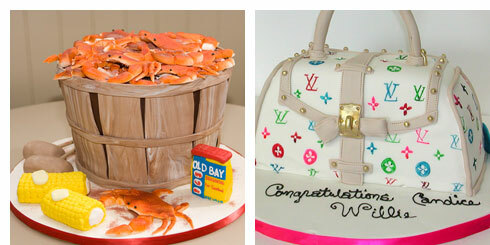 You would not rely on just anyone for your wedding cake but you can definitely rely on Fancy Cakes by Leslie. Even Jennifer Lopez went to Leslie to create her five-tier chocolate cake with gold art-deco accents for her husband’s 41st birthday in 2009. 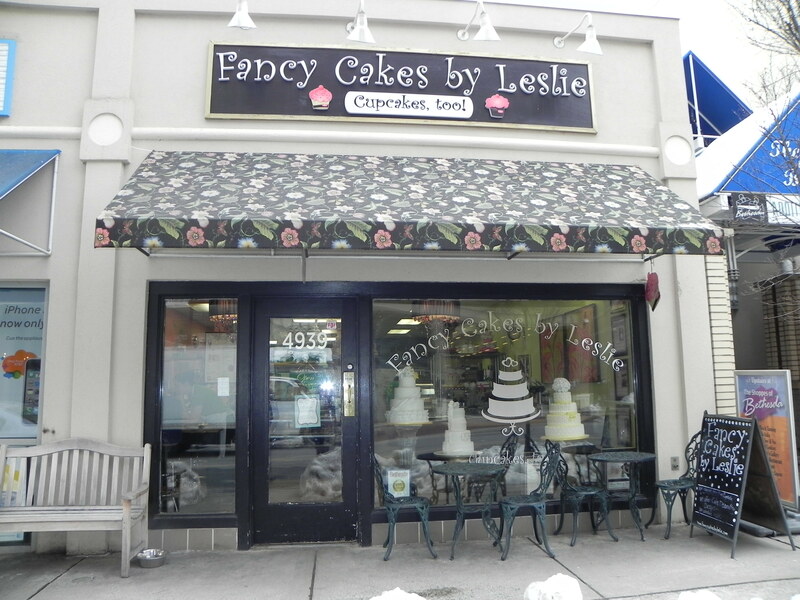 Fancy Cakes by Leslie, located at 4939 Elm St. is a small unassuming shop that is a hub of creative genius. You must check out their website to see some of the amazing creations they have brought to life for brides, babies, birthdays and bar mitzvahs. Truly impressive! 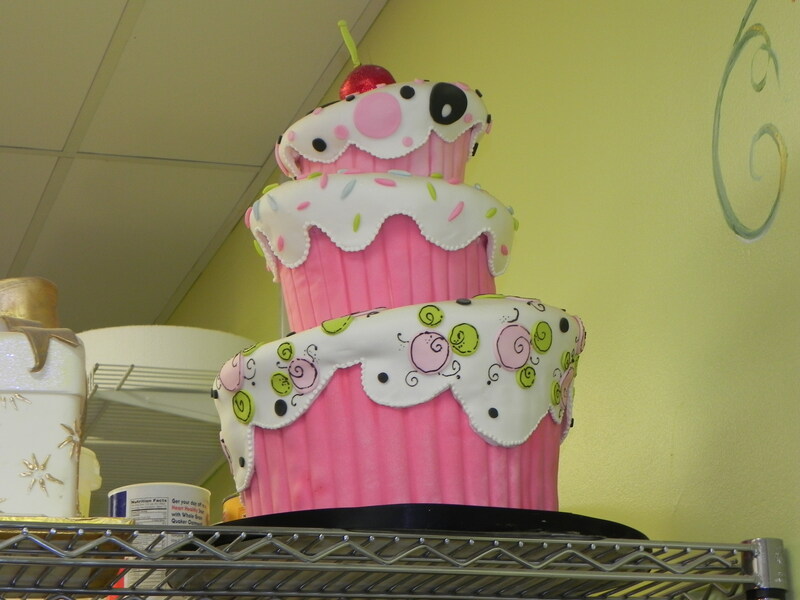 We were told by one of the employees on our recent visit that Leslie is a self-taught cake expert. Fifteen years ago she was making cakes as a hobby and her passion became a wildly successful business. Leslie was there when we visited the other day but true to her passion, she was hard at work on a big cake project in the back so we did not get a chance to meet her. This entry was posted on Tuesday, February 8th, 2011 at 7:00 am and is filed under Food and Drink, Kid's Stuff, Shops & Businesses. You can follow any responses to this entry through the RSS 2.0 feed. You can leave a response, or trackback from your own site. What cute cakes! I wonder if they taste as good as they look?